Just look at all those happy faces. Unless you live in a rural area, DMV locations are almost always understaffed, which has a lot to do with those ridiculous lines. Instead of opening more of them or hiring additional employees, some states have decided to take some of the burden off the DMV by allowing residents to renew existing diver's licenses at AAA offices, even if they're not AAA members. The laws vary quite a bit from state to state. 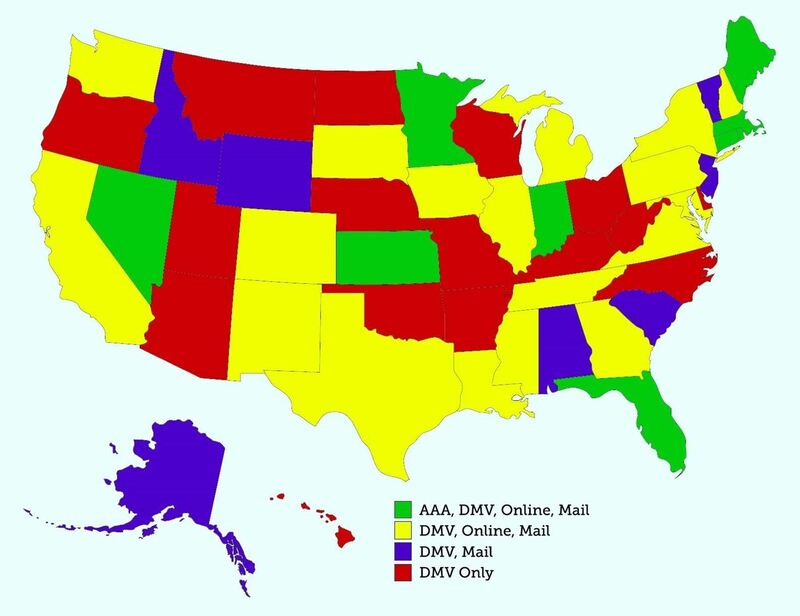 In some states, you can renew your license online or by mail if AAA renewal is not allowed. Others require everyone to renew in person at the DMV. Here's the breakdown of what's allowed in each state. Click the link for your state to find out more details about the requirements. Note: Not all AAA locations in these states offer license renewal, so you'll need to contact your local branch to find out if it's an option. 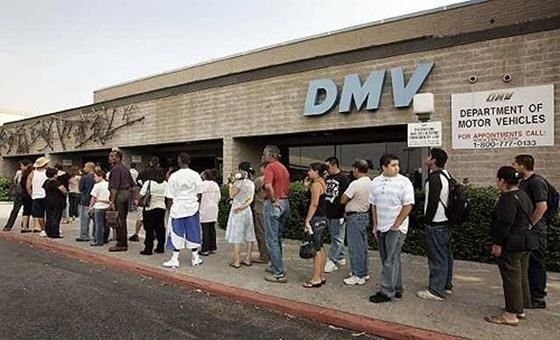 Some locations offer driver's license services by appointment only. Note: In states where in-person renewal is required, there are exceptions for military personnel and those who are currently residing outside the state. Those individuals may renew by mail. You can find out which specific services are available in you area by going to the AAA website and entering your zip code. Services are listed under Automotive -> Driving Resources. A few states are starting to offer self-service kiosks where you can perform DMV transactions without having to visit an office. 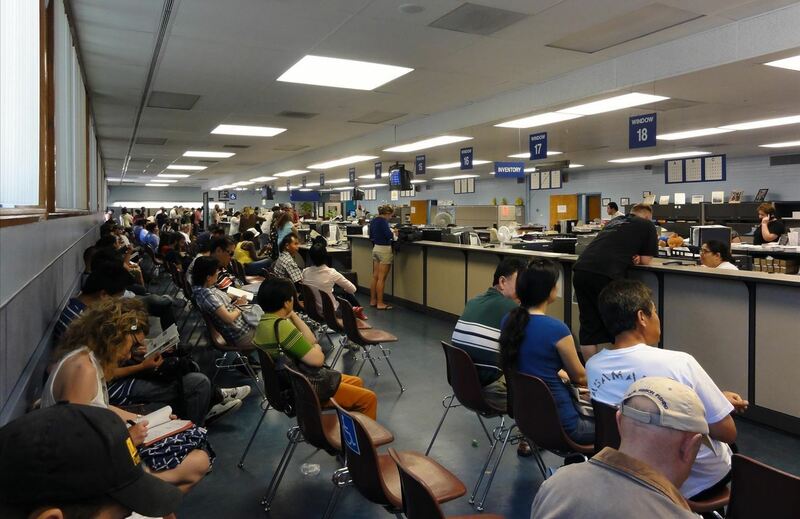 In Southern California, the kiosks are only for registration renewal, but in Nevada, they can do almost anything the DMV offers, including license renewals. Most are available 24 hours, which is convenient if you work during DMV business hours. Kiosks are also available in Delaware, Maryland and Tennessee. Most are located either at a DMV or AAA location, and Tennessee's kiosks use iPads. Have you used a self-service kiosk for a DMV transaction (or know of another state that has them)? Tell us about it in the comments below. Could have been that it didn't back when the article was published. Looks like their site says they do at certain locations, and it's confirmed North Penn, South Penn, but I didn't see anything on East Central's site. Didn't bother checking the rest.